Mine at the moment would be some TV films about a character called Jesse Stone. It is based on books by Robert B. Parker and stars Tom Selleck as Stone. David, I've heard of those Films and I remember watching an interview he did promoting the Jesse stone movies. Now I'll definitely have to check them out. 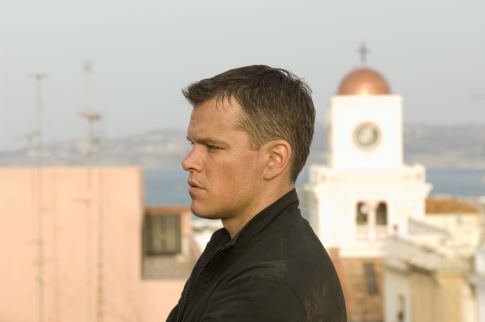 Matt Damon in the Bourne movies for sure! I also like Timothy Olyphant in Hitman (okay, I like him in anything). He's burned by the people he's supposed to work for, then finds himself wanting to protect this woman he was sent to kill. Even though they never have a real or normal relationship, he becomes invested in her even if he doesn't understand why at times. I love complex characters like that.